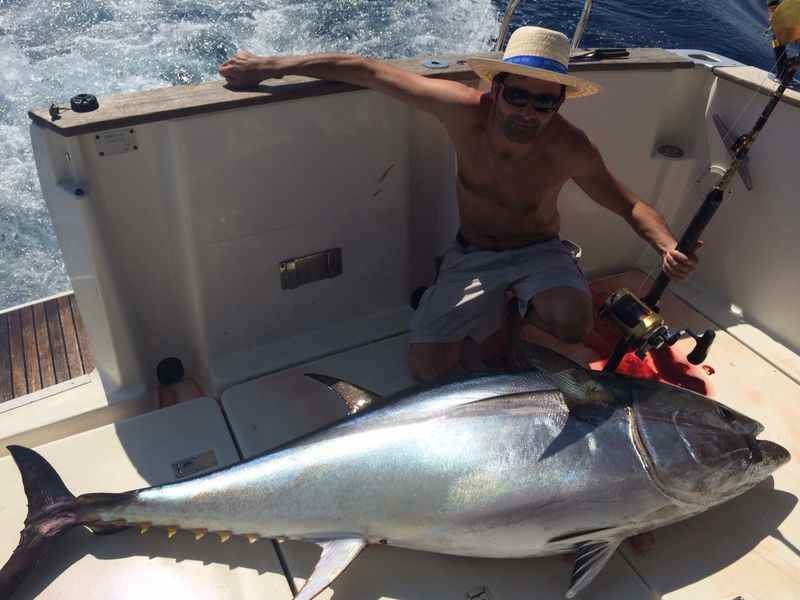 A big Spanish bluefin tuna. 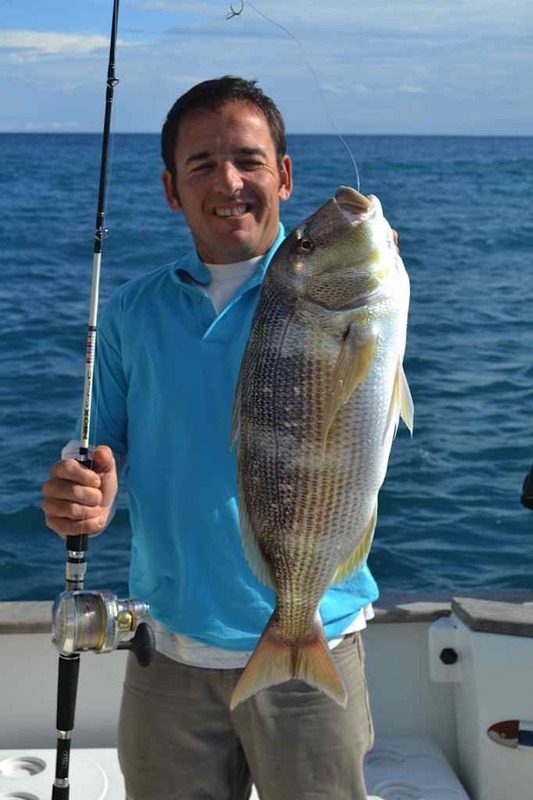 The Spanish allow a very short period, often just days, when fish can be taken. Outside of this all are released. 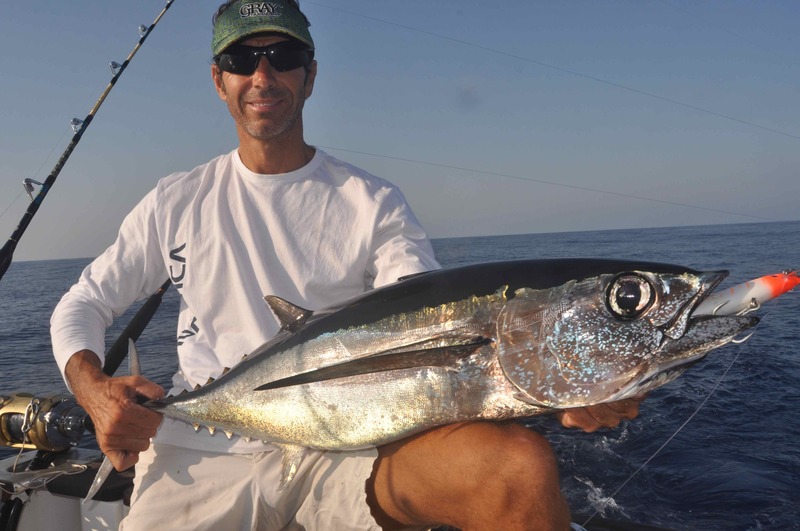 Next year, in conjunction with Anglers World Holidays, I will be hosting trips to two exciting new destinations, where catching ‘big’ bluefin tuna will be the focus of our fishing. In June/July, dates to be confirmed ASAP, I will be hosting a couple four night, three days fishing, trips to Javea, in Spain. 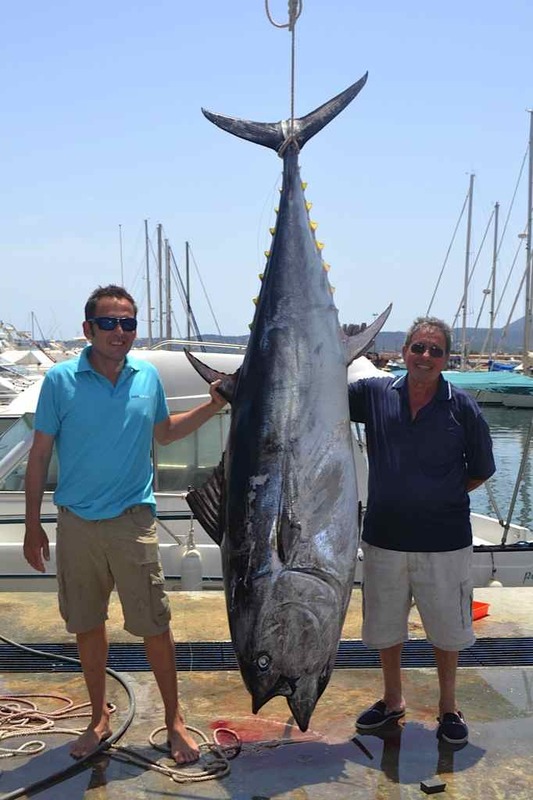 This is the size of tuna caught off Javea! 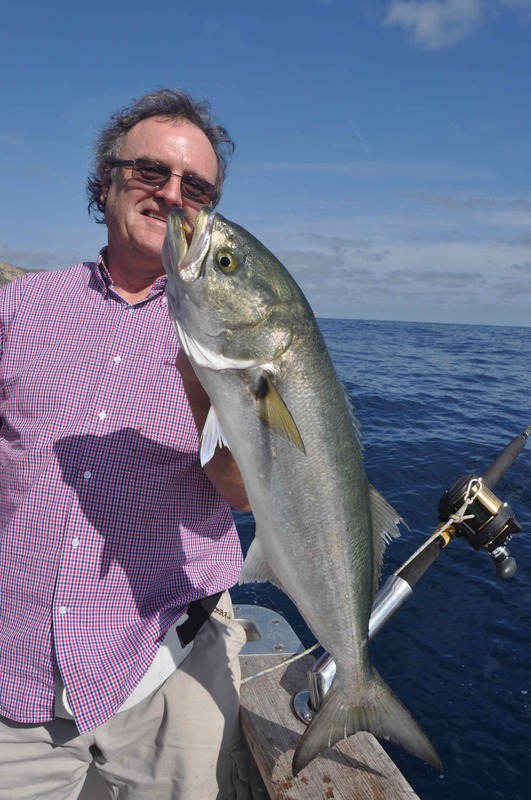 At present the main period of interest for British anglers fishing at Javea, pronounced ‘Havea’ and occasionally spelt ‘Xavia’, is from late April through until the end of October. Clearly bluefin tuna are going to be the single biggest attraction here, with the season usually starting in early May and extending right through the summer. 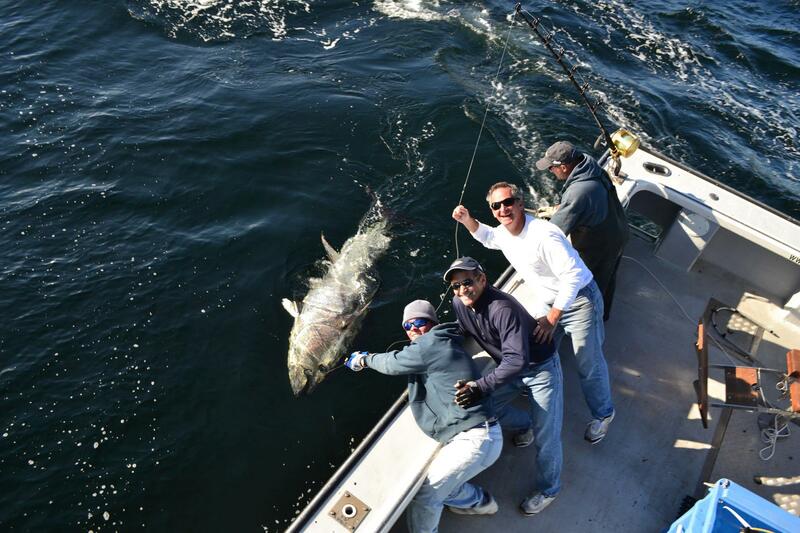 Of course each year the absolute peak of the tuna run, which typically sees fish in the 100-500lb range caught on an almost daily basis, varies slightly, but in recent years June through early July has been the most productive period. 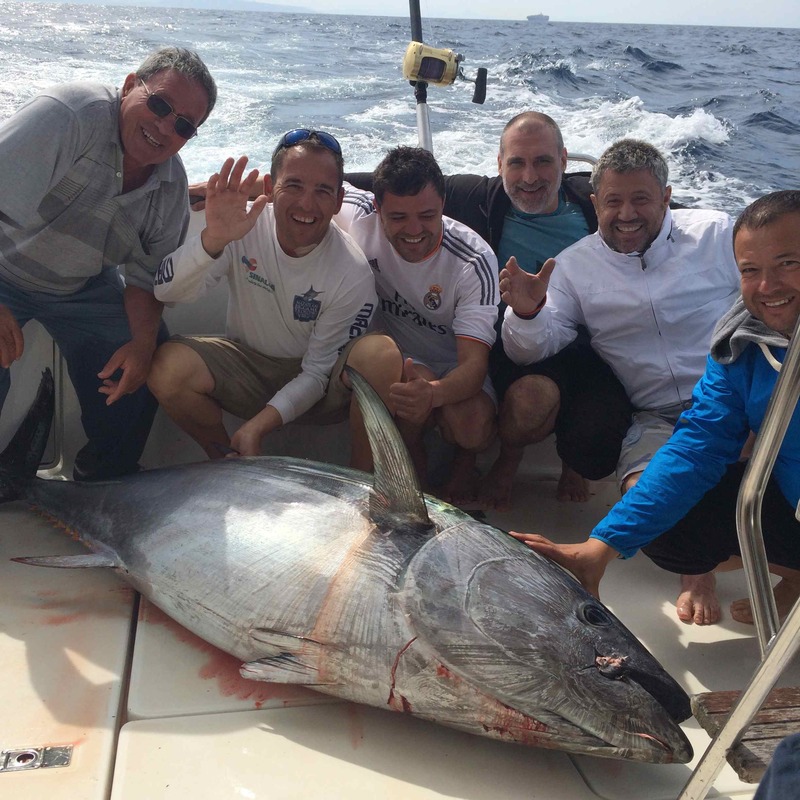 From mid-July until the end of August Javea gets very busy as it is a popular coastal destination for the Spanish, seeking to escape the cities during the hottest months, and this is reflected in higher prices, but of course the fishing is still very good. Aside from bluefin tuna, albacore, bonito and little tunny, aka false albacore, are also caught throughout the summer and early autumn months. 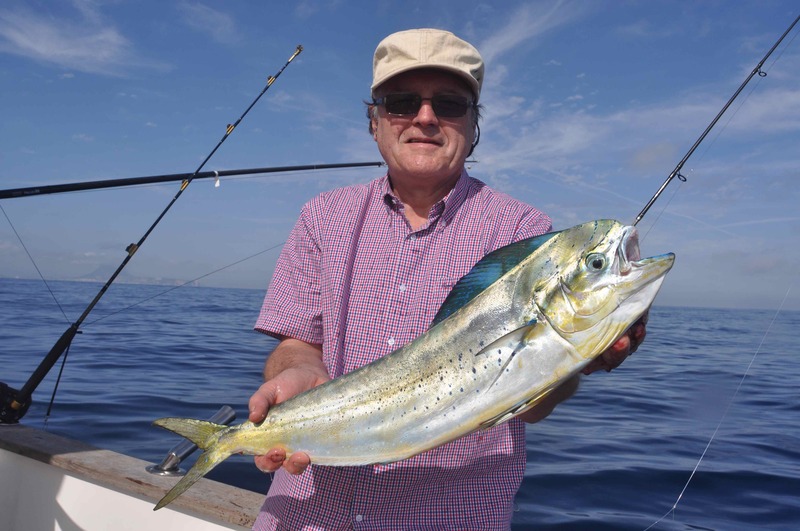 September see’s the arrival of the first dorado, aka mahi-mahi or dolphin. Typically these are not large fish averaging 2-8lb, but they are abundant, with bigger fish weighing 10-20lblb often caught. The dorado run peaks in early October. Other pelagic species caught here include the Mediterranean spearfish, a sub-species of the Atlantic longbill spearfish, and swordfish. Aside from the blue water species, the reef fishing is excellent. Key species include dentex bream and amberjack, along with various species of grouper and snapper and numerous smaller bream species. Barracuda, bluefish and leerfish are also caught. The boats we work with are well equipped with top end tackle, mostly Shimano. Offshore the most productive techniques are either trolling, or drifting/casting live baits. Inshore, which often involves fishing within 100 yards of the coastline, very slow trolling using bait, typically freshly caught cuttlefish presented in conjunction with a downrigger, is highly productive; as is jigging. Javea benefits from it’s own micro-climate, which the World Health Organisation says is one of the healthiest anywhere in the world. The region has more recorded hours of sunshine than anywhere else in Spain. If you enjoy eating out you will find an amazing selection of beachfront restaurants serving fresh fish and meat dishes along with with delicious local wines, invariably at surprisingly good prices. Javea has plenty of accommodation options to suit all budgets. Most airports in the UK have daily flights to either Alicante or Valencia, both an hours drive from Javea. Next we are organising a group to fish at Prince Edward Island, on the eastern seaboard of Canada. PEI is the undisputed epicentre of giant bluefin tuna, fish here ‘start’ at around 500lb and are regularly caught to over 1000lb. 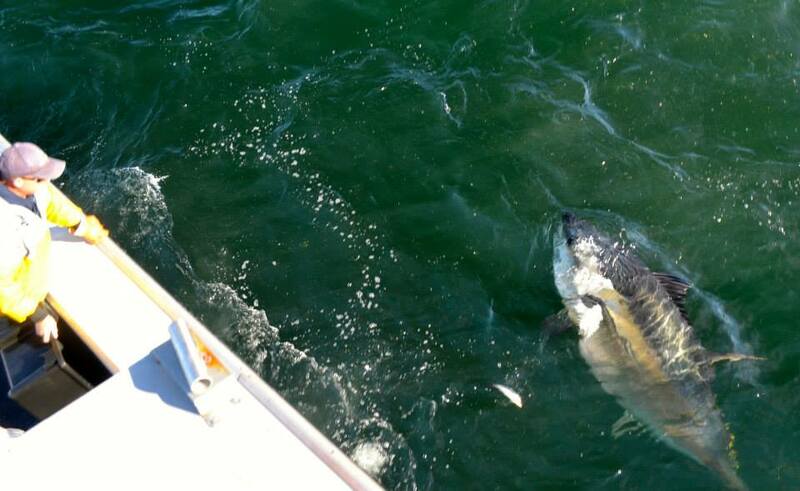 The tuna off PEI are big, typically 500lb+! This entry was posted in Uncategorized by davelewisfishing. Bookmark the permalink. so yer off to PEI next year, eh, ya lucky bum! very cool….